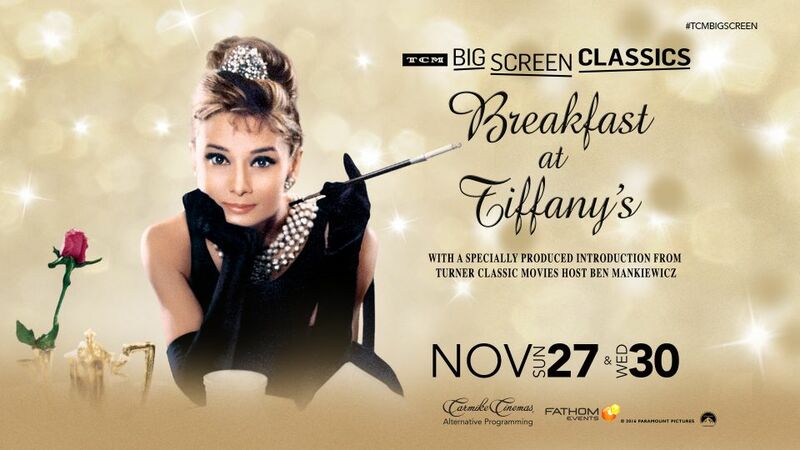 Each month this year Turner Classic Movies and Fathom Events have teamed to bring "Big Screen Classics" into movie theaters around the country. 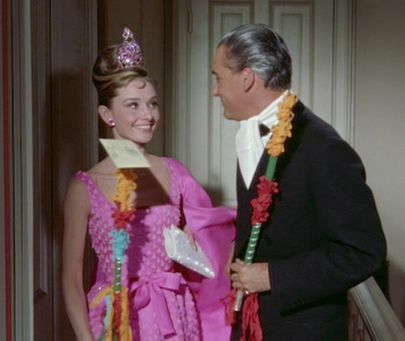 The series kicked off with Butch Cassidy and the Sundance Kid (1969) in January and will close with From Here To Eternity (1953) in December. 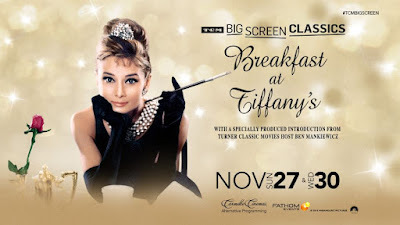 I've attended several of these screenings and last Sunday afternoon enjoyed the immense pleasure of viewing one of my favorite romantic comedies on the big screen for the first time, Blake Edwards' iconic Breakfast at Tiffany's (1961) starring Audrey Hepburn in the role that defined her appeal and firmly cemented her status as a film and style legend.